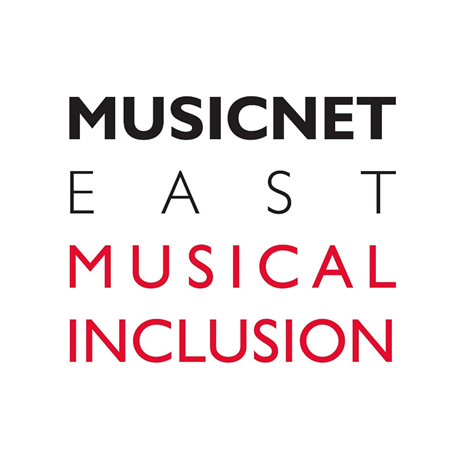 MusicNet East are running an Early Years Conference on Tuesday 2nd April in partnership with Stevenage Music Centre, Hertfordshire Music Service. The conference is being led by Dr Jessica Pitt, Lecturer in Music Education at the Royal College of Music and Charlotte K Arculus, founder member and creative director of Theatre of Adventure. The event runs from 10am – 3:15pm and is aimed at Music Service tutors and managers – suitable both for those with experience and also those setting out in this rewarding area of work. The conference will help participants to plan and deliver high quality creative music activities with under fives. The day will introduce the theory and pedagogy involved in working with young children and their parents / carers, linking it to Early Years For Schools curriculum as well as exploring practical strategies for implementation. Dr Pitt’s research focuses on early childhood music education in informal contexts; socio-cultural theoretical frameworks; thinking and understanding in relation to music; music and communication; parent-child interaction; and learner-centred music pedagogical approaches. Jessica is also a trustee of MERYC-England (Music Educators and Researchers of Young Children); Associate Fellow of the Higher Education Academy; Honorary Research Fellow of the Applied Music Research Centre, University of Roehampton; and Course leader of the MA in Early Years Music at the Centre for Research in Early Childhood. Charlotte has worked and played with early years children for nearly 30 years and is the founder member and creative director of Theatre of Adventure. She describes herself as an artist animateur (and artist who breathes creative life into a venture). 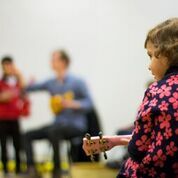 Charlotte originally trained as a community musician and has worked in a range of roles include creative director, early years music and arts specialist, and anarchic street performer. She is particularly interested in the concept of developing complicité between people of all ages through playfulness. Her work explores the relationship between funniness and musicality, developing beautiful pedagogical spaces to support young children’s aesthetic senses. Her work brings practice (and theory) of improvisation to the heart of what it means to be present.